Online ordering menu for Asian Pearl Restaurant. 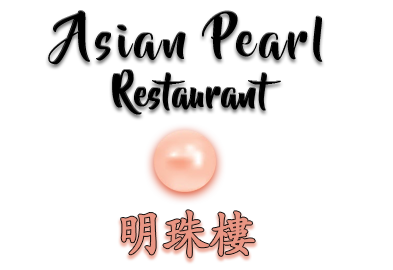 Located in the beautiful city of Olathe, KS, Asian Pearl is a family-owned and operated restaurant that is committed to offering you the most memorable dining experience. As part of that commitment, we're proud to serve fresh, delicious Asian cuisine while providing you with the best service, all in a comfortable setting surrounded by original artwork, bamboo, and comfortable seating. We pick our ingredients carefully and use only the freshest to prepare every dish. Another step we take to guarantee the freshness of our food is performing quality checks of the ingredients prior to preparing each dish, to ensure our guests receive the best quality. Our chef has more than 30 years of experience, and they know the importance of quality. At Asian Pearl, our guests are like family to us and what we serve our guests is what we serve our own family.Located on 119th St and Ridgeview Rd, just a few minutes from Nothridge Plaza and Olathe Pointe. Order online for carryout or delivery today.